Shopping for Marilyn Monroe Mugs? Men are so willing to respect anything that bores them." 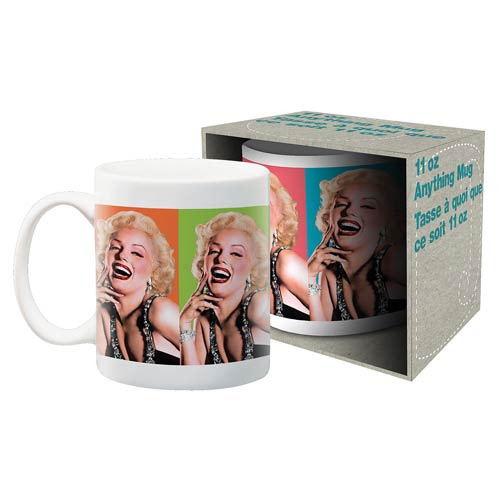 Command respect and be interesting with this Marilyn Monroe Anything Colors Mug. Featuring a classic image of Ms. Monroe laughing, in 4 different colors, the mug holds approximately 11 ounces. Hand wash only. Not dishwasher safe. Do not microwave. Measures approximately 3 3/4-inches tall. For ages 14 and up.